Thoughtful and introverted, 12-year-old Maggie feels invisible sandwiched between the limbs of her eight rambunctious siblings as they drive across the desert in the family's aging Pontiac wagon. Maggie escapes her loneliness and the chaos of her family by entering the strangely beautiful world she discovers through the viewfinder of her snap-n-shoot camera. Yet, unable to trust that what she sees is worth capturing, she never takes a picture. When the family makes a pit stop in the middle of nowhere, Maggie's feelings of being invisible are intensified after she is accidentally left behind. 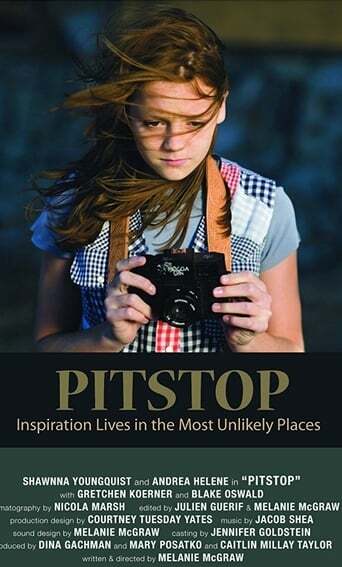 There at the gas station she meets June, the desert-worn, reclusive proprietor who proves more than just a passing influence on this little girl's journey to find her own voice.